March 3 marks World Wildlife Day 2019, and marine animals are the focus. When protecting our world beneath the waves, personal connection is key. On March 3, 2019, the United Nations celebrates World Wildlife Day under the theme “Life Below Water: For People and Planet.” The day highlights all matters pertaining to marine wildlife and raises awareness of the challenges facing marine ecosystems in the earth’s oceans and seas. These global waters produce half the oxygen we breathe, support the livelihoods of more than 3 billion people, and contain 200,000 identified species (although scientists believe the real numbers could be in the millions). 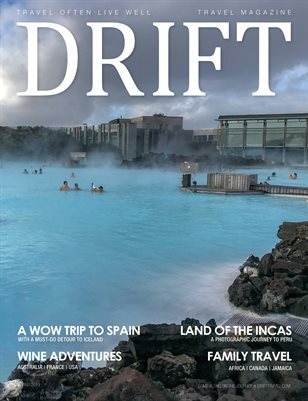 Natural Habitat Adventures is the conservation travel partner of the World Wildlife Fund, and this leader in sustainable tourism is helping protect the planet’s marine species in a variety of ways. This includes reducing carbon emissions as the world’s first 100-percent carbon neutral travel company—eliminating emissions that contribute to ocean acidification, since oceans absorb nearly 30 percent of the carbon dioxide produced by humans. Nat Hab also promotes plastic-free travel alongside the Travelers Against Plastic campaign, helping battle the 46,000 pieces of plastic found per square mile of ocean. Moreover, Nat Hab believes that when it comes to protecting the world’s marine life, awareness and personal connection is key. 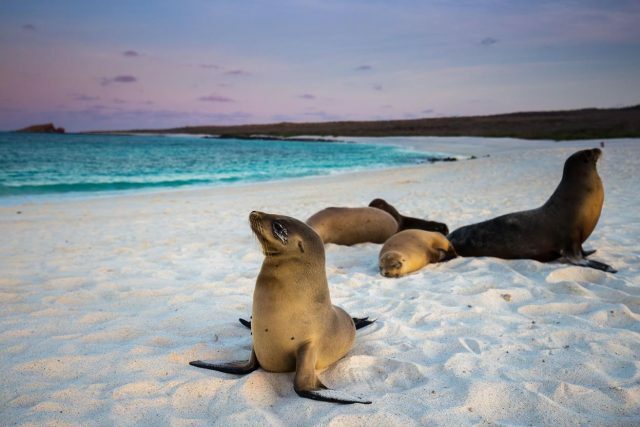 Few places encapsulate the sheer scope of marine biodiversity more than the Galapagos archipelago, home to turtles, marine iguanas, sea lions, reef sharks, penguins and so much more. 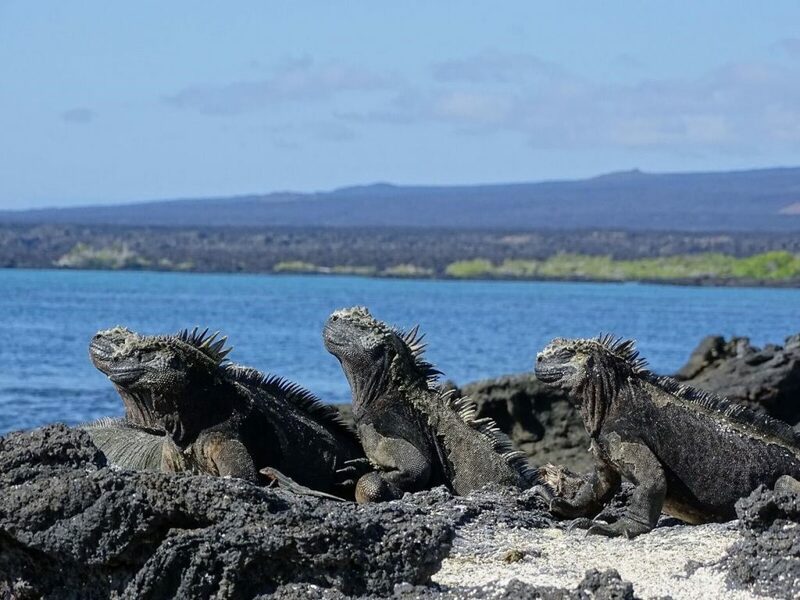 Thanks to exclusive permits obtained from Galapagos National Park, guests on Nat Hab’s 10-day Galapagos Hiking & Kayaking Adventure can paddle away from cruise ship crowds and into the region’s most remote areas ¬with the guidance of a naturalist Expedition Leader. Search for sea turtles amid the mangroves, swim with white-tipped reef sharks in a quiet cove, and sleep aboard a floating base camp, Nemo III, with an intimate group of just 14 travelers. 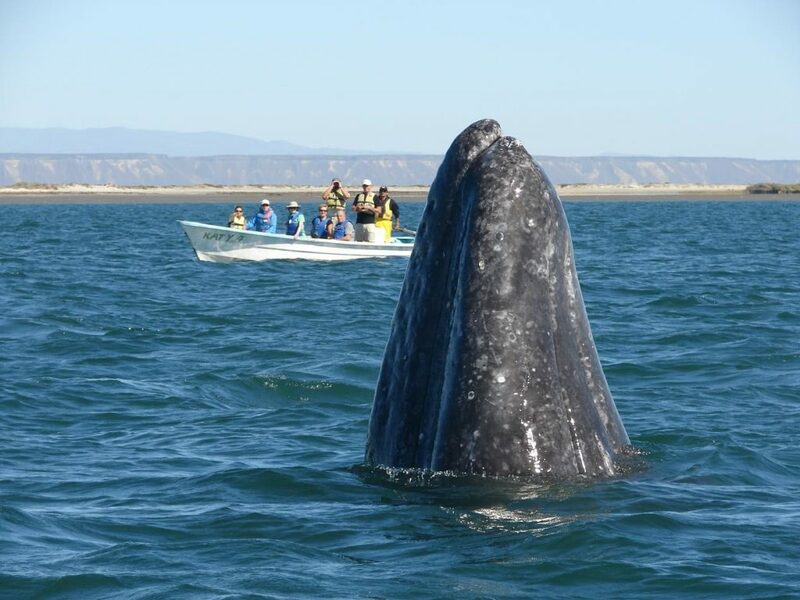 Set off on a skiff journey into the sheltered San Ignacio Lagoon on Mexico’s Baja Peninsula to witness the tail-end of the gray whale spring migration, a 6,000-mile trip that brings the whales from Alaska to warmer Pacific waters. On the 6-day The Great Gray Whales of Baja itinerary, settle into an open-air cabana at Nat Hab’s private, 10-room beachfront camp on the shores of El Vizcaino UNESCO Biosphere Reserve. Set out for open waters to watch mothers guide their calves through feeding grounds while young adults breach playfully – often within arm’s reach of the boat. At 185 miles long, the Mesoamerican Barrier Reef is the world’s second longest of its kind, after its Australian cousin. 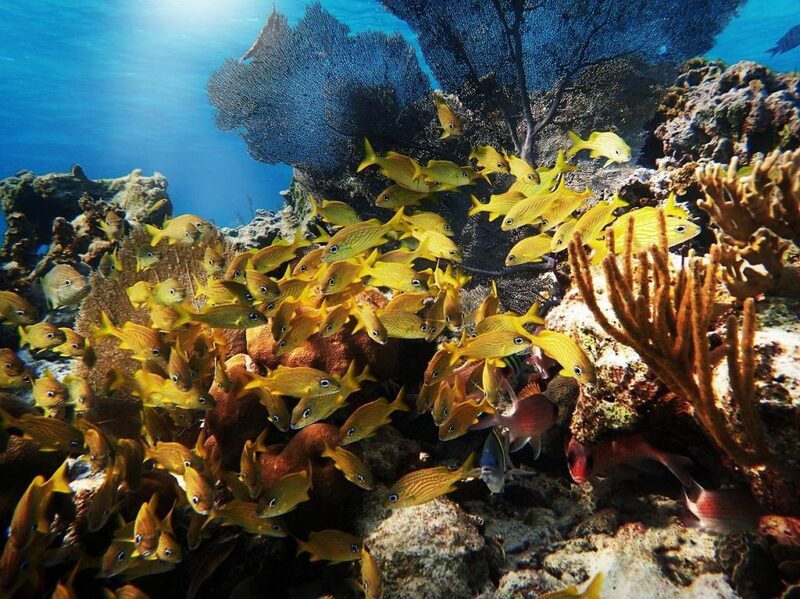 On Nat Hab’s 9-day Ultimate Belize Nature Safari, embark on an adventure below the surface within the Belize Barrier Reef Reserve System, a UNESCO World Heritage Site and home to vibrant, flourishing coral and more than 500 species of tropical fish. Canoe through the caverns of Baron Creek Cave, search for bare-throated tiger heron and northern jacana within the Laguna Seca wetland, and snorkel alongside eagle rays, nurse sharks and loggerhead turtles amid swirling schools of fish surrounding the Silk Cayes, inside a protected marine reserve accessible only by boat. As the site of the first hatchery in Malaysia, Bako National Park is a Chelonia-lover’s mecca. On The Wilds of Borneo: Orangutans & Beyond, Nat Hab’s sea turtle experience unveils the secret lives of green sea turtles as part of a 12-day intensive exploring Borneo’s unique ecosystems, taking travelers into a world reachable only by boat. 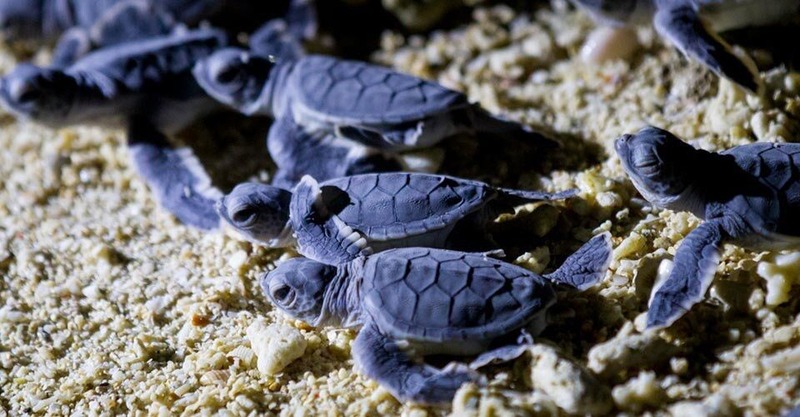 Watch these endangered creatures hatch and be released into the Sulu Sea at Selingan Turtle Island, a quiet chalet escape that gives guests the rare opportunity to observe nesting mothers when they come ashore. Later, off-island, float the longest river in Sabah within the Kinabatangan Wildlife Sanctuary, home to one of the highest wildlife concentrations of Southeast Asia, including river crocodile, otter, and of course, plenty of fish—plus, wild orangutan in the jungle forest above. Traveling to a quiet island fishing community away from the tourist crowds of Mexico’s Yucatan Peninsula, slip into a refreshing freshwater cenote, dine on fresh seafood and come eye to fin with the world’s largest fish as part of Nat Hab’s 6-day Swimming with Mexico’s Whale Sharks adventure. 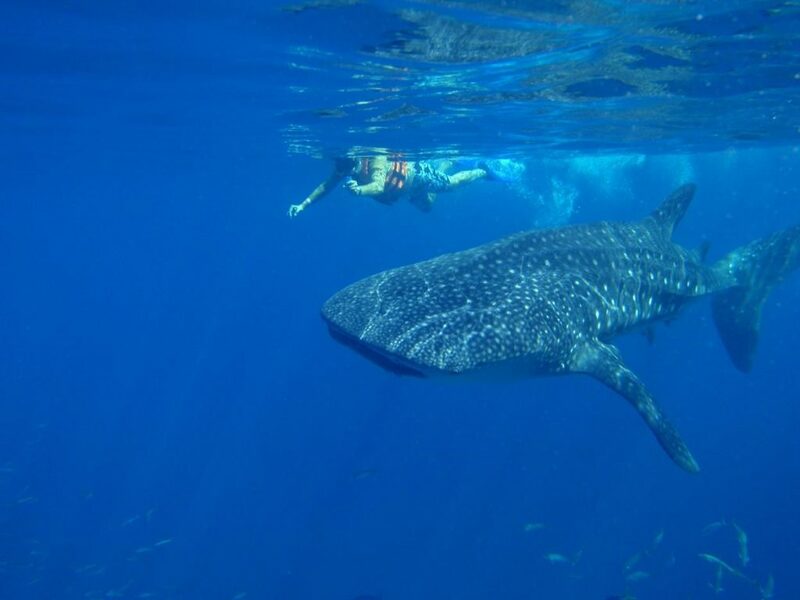 Be one of the rare boats on the water near this sleepy island that’s ideally located in the migration path of the whale shark as they feed on plankton and glide calmly close to the water’s surface. Join your naturalist Expedition Leader for a dip in the ocean with these 45-foot beauties, and drink in the feeling of gliding alongside polka-dot patterned creatures that are as gentle as they are enormous. For more information about Natural Habitat Adventures, visit www.nathab.com.